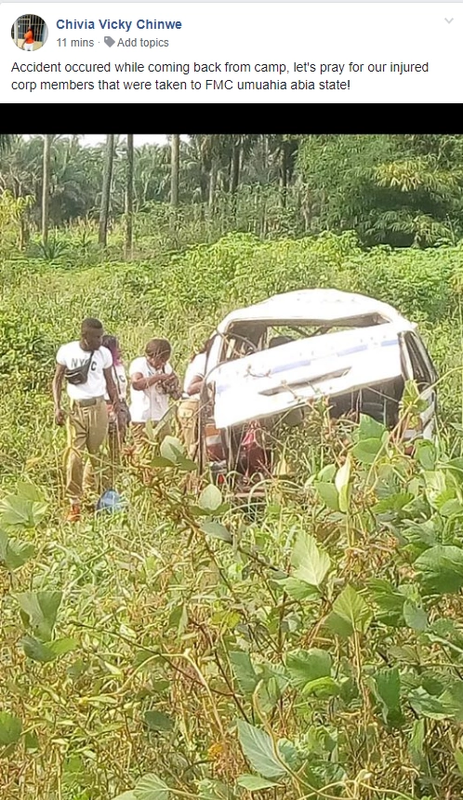 Information is just reaching us about Some Abia Corpers that had an accident on their way back from the just concluded NYSC 2018 Batch C Stream I Orientation camp. As shared by a Female Corper on facebook. We pray that God will give them a quick recovery.